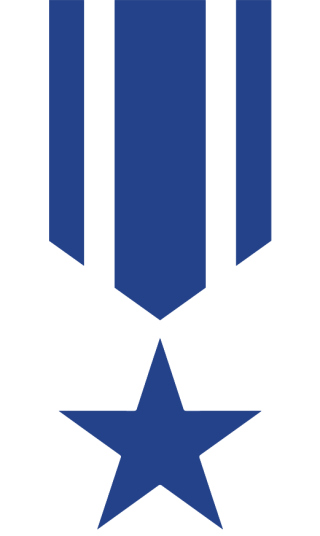 This chapter serves the District of Columbia, Alexandria, Arlington, Fairfax and Falls Church. 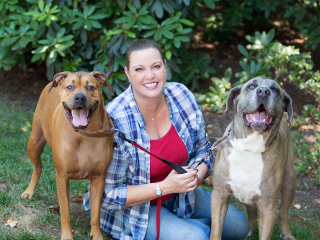 Stephanie is a lifelong animal lover and dedicated dog trainer. 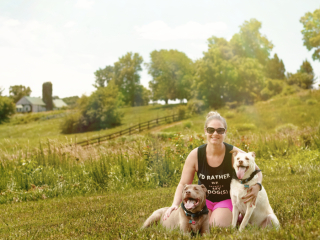 After being a stay at home mom for many years, Stephanie decided to focus her energy back on her first love, dogs, and earned her status as a Pat Miller Certified positive dog trainer. As owner of Sugar Dog Training, she offers private in-home dog training focusing on positive training methods and relationship enhancement. She has also volunteered her time at her local animal shelter and has enjoyed walking dogs for the Loudoun Pet Sitting Company. Stephanie is excited to be a member of the Pets for Vets team and is looking forward to working with the Veterans to help them find their perfect match! Christine holds a B.S. Degree from the University of South Florida, is an Honor's Graduate of Jean Donaldson's Academy for Dog Trainers, a Pat Miller Certified Trainer, and a Certified Professional Dog Trainer. 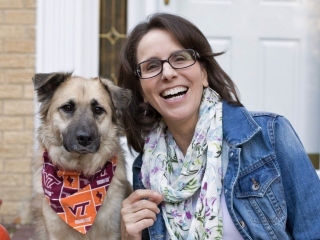 She owns Family Dog Training, LLC in Northern Virginia, where she provides private behavior consulting and training services for companion dogs and puppies. She is delighted to be the volunteer trainer for the Virginia Tech Corps of Cadets Ambassador Canine, Growley II, and his cadet handler team. Christine resides in Northern Virginia with her husband, who is a retired Air Force Veteran of 26 years, where they hold down the fort for their two college kids, one mixed breed dog, and a mixed breed kitty. 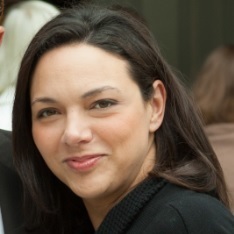 Desiree moved to the DC area in 2002 to study law. After three years of practice, she left to start a dog walking company with a focus on positive training. Desiree is also an apprentice at a local dog training center, teaching puppies and adults basic behavior. She has helped socialize puppies for local shelters, has been a Canine Good Citizen (CGC) Evaluator, and is a Certified Professional Dog Trainer - Knowledge Assessed (CPDT-KA). Desiree is the mom of a wonderful little human boy, and two wild mini Aussies - Chewie and Wicket. 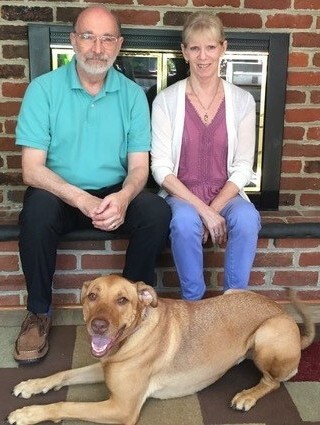 Jim and Vicki pictured here with their grand-dog Lacey, are a Pets for Vets volunteer training team in Northern Virginia. Jim is a Vietnam Veteran and former faculty member at George Mason University. Prior to his retirement, he operated a dog training business for 10 years. 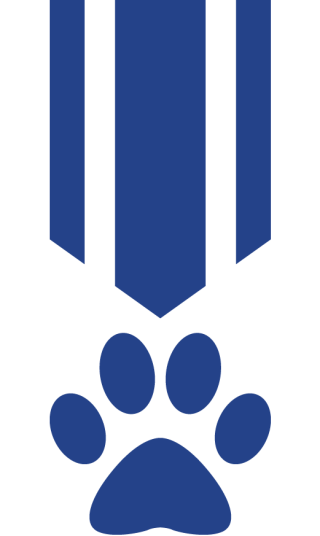 He was a Certified Pet Dog Trainer (Association of Pet Dog Trainers-APDT) and a Certified Dog Behavior Consultant (International Association of Animal Behavior Consultants-IAABC). Jim served as chair of the ethics committee for IAABC and is the author of a book on ethics for dog trainers and co-author of a book on positive training for sporting breed dogs. In addition to assisting Jim with classes, in-home training, and Canine Good Citizen evaluations, Vicki was certified by the Delta Society as a therapy dog handler. She visited patients at a local hospital with their black lab, Toby. She also volunteered in a variety of roles at the Potter League for Animals, located in Rhode Island. Vicki was a career counselor at the University of Rhode Island and George Mason University, where she and Jim worked with a diverse group of students including veterans and individuals with disabilities. 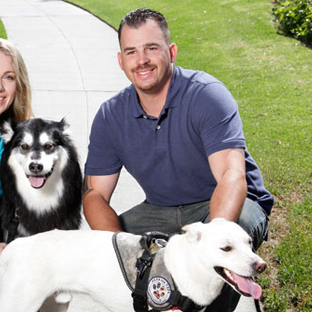 Jim and Vicki are excited about drawing on their skills and experience to help vets and rescue animals create rewarding and supportive. The first thing you need to know about me is that I have an undying passion for animals and their welfare and this has been a constant theme in my life and career. Through work with area shelters and rescues, I am proud to have been able to improve the circumstances and quality of life for a number of less than fortunate souls. The second, and equally important fact to know about me, is that I am fiercely patriotic and stand in awe of the men and women who choose to offer their lives and wellbeing into the service of our great country. Their sacrifices humble us all I hope to able to repay that debt in some small way through my work with Pets for Vets. I am a lifelong resident of the DC Metro area, and after a successful career in the financial services industry am looking forward to giving back to my community and to those in need. I live happily in Oak Hill, VA along with my daughter and two big goofy dogs. Sylvia is an Army veteran and currently resides in Arlington, VA with her three rescue dogs. She earned a bachelor’s in Systems Engineering from the United States Military Academy. After her military career, she went to work for the government as a systems engineer and proceeded to get two Masters Degrees, one in Marketing Management and the other in Engineering Management. Sylvia has always had a love for animals and has grown up with having a dog in the house for the majority of her life. 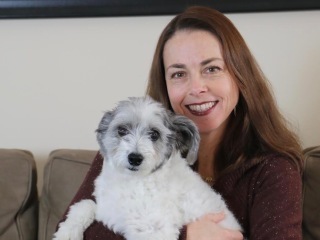 She adopted her first dog, Bryce, in 2009 from the Fayetteville Animal Protection Society in North Carolina. She and Bryce quickly established an inseparable bond. About a year later, she determined Bryce needed a friend, so she adopted Jackson in 2010 from the Carolina Animal Rescue Adoption. It was the three of them for a while and then Sylvia fell in love with a little female pit-bull named Kali, in November 2018. All three dogs provide her with different levels of support and life is better with them in it. She’s excited to be part of an organization that supports veterans and rescue animals. It is something near and dear to her heart. Having an animal can make the world of difference in someone’s life. Talmar is a proud Navy Brat who has never known a home without a pet. Currently, her family’s pets include Inu, a beautiful brindle rescue from the Tennessee floods and Grizz, an Ohio born rescued Bernese Mountain Dog. 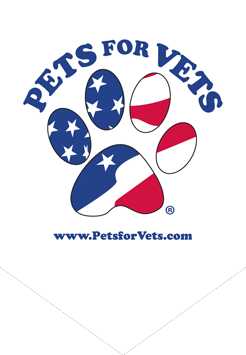 It was an easy and quick yes for her to serve the mission of Pets for Vets DC Metro Area! Talmar, the founder her own business, Boss Actions, brings over 20+ years building and growing business and teams for small business owners and entrepreneurs. She has been active in the Greater Reston Chamber of commerce and George Mason University’s Women In Business Initiative Advisory Board. 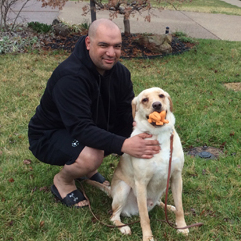 We are excited to welcome Talmar to the Pets for Vets DC Metro Area chapter! 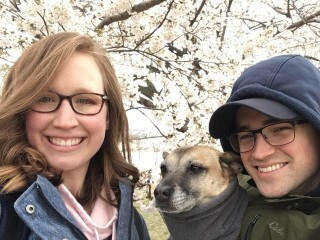 Megan, her pup and her husband, an officer in the Navy, currently reside in Alexandria, VA. She earned a bachelor's degree in Journalism and Advertising from the University of Nebraska-Lincoln. After she graduated, she quickly found her passion in social media. She went on to develop social media programs for nationally recognized brands as well as impactful military-related organizations. She works with a local social impact firm on a Department of Veterans Affairs campaign called Make the Connection. 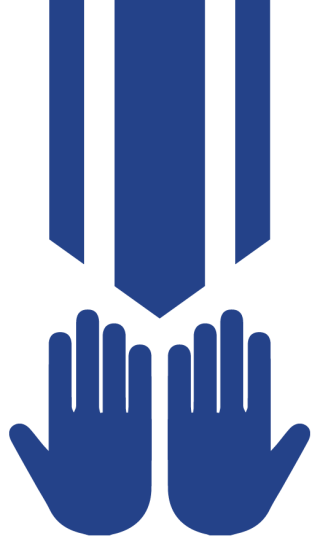 It is a campaign that works to break down the barriers and stigma Veterans face to seek mental health support. Megan is also an avid dog lover. Winnie was adopted at the Denver County Animal Shelter in November of 2013. It was love at first sight they have been inseparable from Megan ever since. While they were stationed in Pearl Harbor, Megan's husband was deployed frequently and for long periods of time. Winnie provided Megan love and comfort while he was away. She's excited to use her social media smarts, love of dogs and appreciation of service members to make a difference with Pets for Vets. 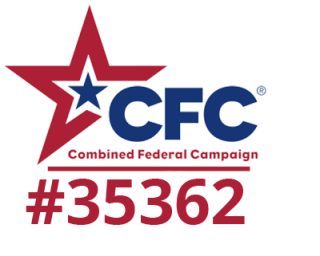 Pets for Vets Washington, DC Metro Area Chapter is a proud participant of the 2018 Combined Federal Campaign.